Nationalism, national identity and attitude to diversity. 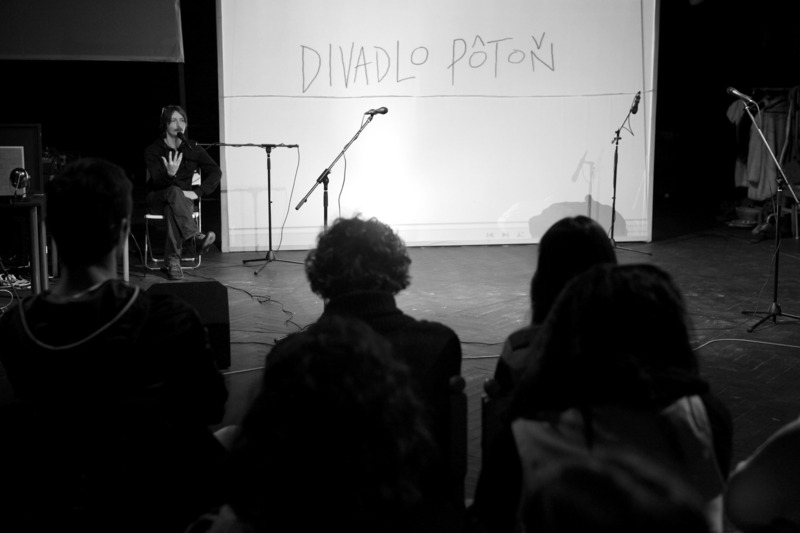 Within an educational project, Divadlo Pôtoň (the Pôtoň Theatre) talks to young people about social situation in Slovakia. The road from Bratislava to Levice is bordered with radio advertisements displaying hateful guff described as a “non-censored alternative”. A bit further away from Levice, you find the village of Bátovce, where Divadlo Pôtoň is located. The performances of this theatre represent a true alternative – an art that discusses current social topics and tries to inspire the audience to be more open and tolerant. 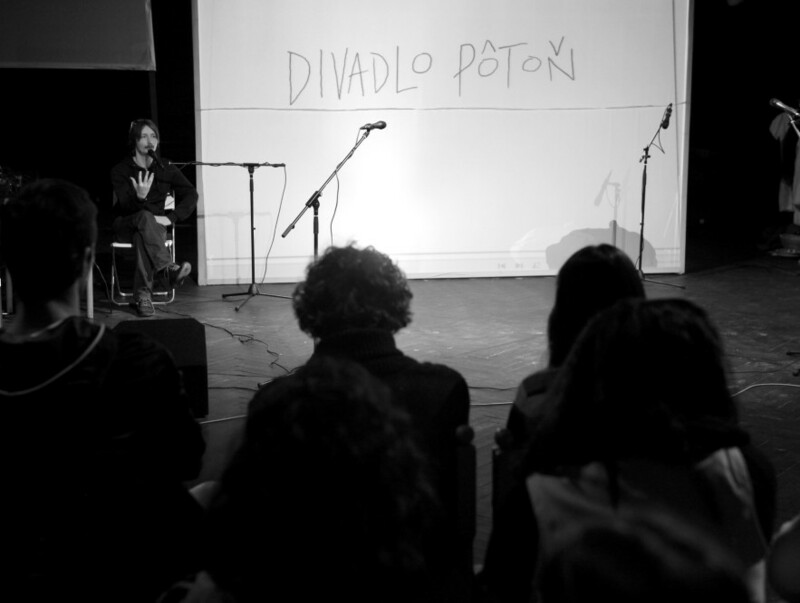 The founders of the theatre, Iveta Ditte Jurčová and Michal Ditte, strive to stimulate critical thinking in the region through their plays. Their sensitively adapted productions touch upon social issues in Slovakia and ask pressing questions – who are we and who do we want to be? “Authors frequently seem to forget that theatre should be a social event also from the perspective of the topic. We cannot infinitely stage Slovak classics from the 19th or 20th century. There are much more burning topics that belong to the theatre and that would probably be much more attractive for the audience,” explains Michal Ditte. 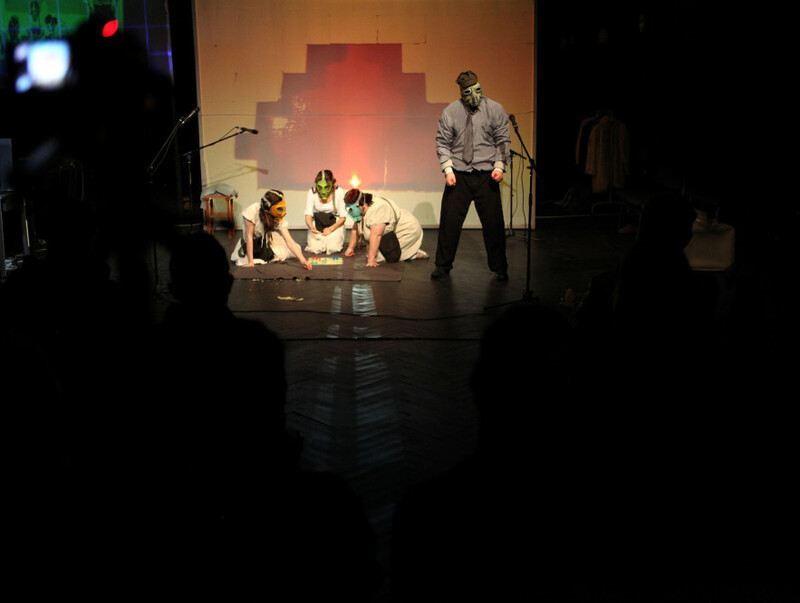 The all-day program is based on a play that uses an original poetic to discuss the issues of identity, nation, home, diversity or the Slovak history. The scenes are full of meanings, allusions and references that might at first be unclear for a common high school student. Students from the Secondary School of Transport in Zvolen laugh especially when they see the grimaces of Branislav Matuščin or when they hear swear words. 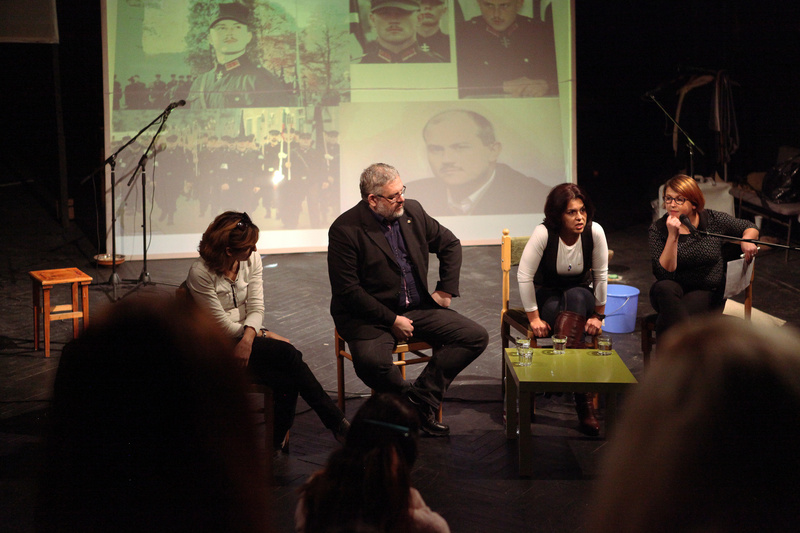 That is why the theatre organizes a discussion with experts, so that students understand what they saw in the play – theatre scientists Miro Dacho and Elena Knopová, the director of the Museum of the Slovak National Uprising Stanislav Mičev, journalist Michal Havran, Ingrid Kosová from the Quo Vadis civic association, Viera Dubačová from a partner organization of the Animus Apertus project, Rado Sloboda, founder of Nie v našom meste platform and Laco Oravec, programming director of Milan Šimečka Foundation. 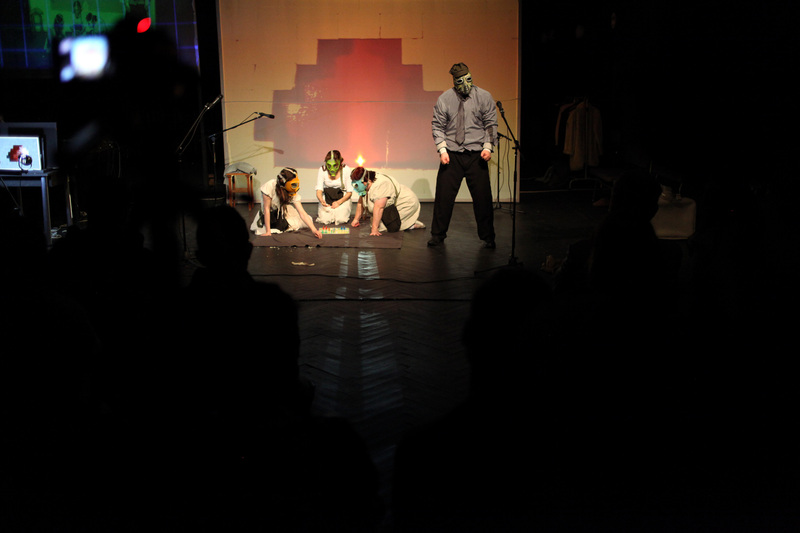 During the course of the project, students attend painting, theatre and literary workshops. An important part is also a questionnaire – at the beginning and at the end of the day, high school students anonymously fill in the same questionnaire. A significant majority of students from Zvolen indicate that they agree with statements such as: Roma have children only to get more money from the state; Roma are a population threat and they will soon become a majority in Slovakia; I would participate in a celebration marking the anniversary of the establishment of the Slovak State. 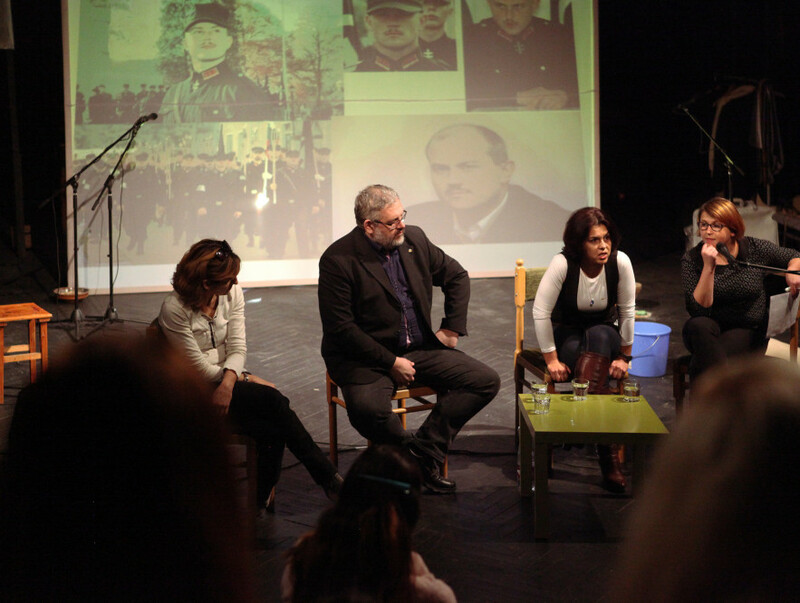 The play Krajina nepokosených lúk (The Land of Uncut Meadows) and accompanying activities can help young people to understand complex issues, such as the formation of identity or the history of Slovakia. Similarly to the scene where the youngest daughter hides a forbidden seed during an air raid, these young students can be the new generation that will not be scared off and that will do things in a different way – in a better way.